This is a third-party made product, so there is no brand logo outside. Please be aware before buying. Powered by USB. Work with Both Laptop & Desktop, Plug and play, don't need any driver program. Supports Windows Win 7/ Win 8/Win 10, Linux,and Mac OS. It is third-party made product. There is no brand logo outside. Please be aware before buying. Compatible with Windows Win 7/ Win 8/Win 10, Linux,and Mac OS. Features: Tray-Loading, All-in-One, Integrated USB Cable. lets you read and writer to Blu-Ray, DVD and CD formats. 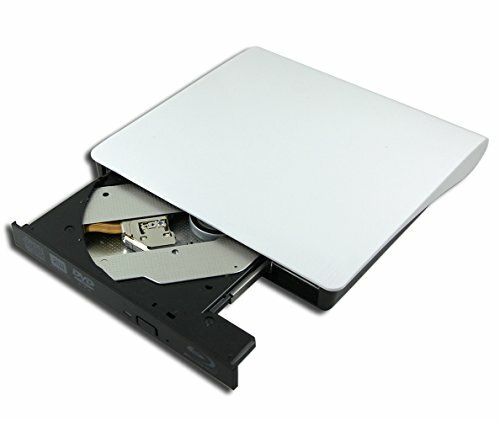 The BD burner can read and burn Blu-ray movies and data up to 6X Speeding, support Hot Plug Play.